Adeline and I were once again seeking out walks in the same style as the Banks Peninsula Track. You can read the related article if you haven’t already. Essentially we wanted to find multi-day walks that had a certain level of comfort - with at least hot showers and food available on site. We also wanted to add a family-friendly dimension to what we had on offer. So off we set on one spring long weekend, a little troupe of friends and family, to try out the Kaipara Walk. The first obvious advantage of this walk is its proximity to Auckland, just an hour’s drive away. Shuttle transfers can be organised if you don’t yet have a rental car. We arrived in the evening at the grand Mataia Homestead which has several rooms, two bathrooms, a piano and to the children’s delight, an enormous garden. Better yet, dinner was already waiting for us and all we had to do was heat it up. In classic Kiwi fashion, your choice of beer or wine can also be purchased from the honesty box. We loved it. Your gear is dropped off each day at the following night’s accommodation so all you have to carry is a small backpack with your picnic lunch. After breakfast we set off on our first day of walking with the kids, aged 5 to 9. At first we crossed paddocks towards the Kaipara Harbour and we had a few hilarious moments when encountering the cows that were grazing. As we came across the first stunning views of the harbour, each one of us took a little time to ooh and aah at the fabulous scenery. Next we headed along the boardwalks through Kauri groves and followed the coastline through regenerating native bush and salt marsh wetlands. We reached our second night’s accommodation at the Farm Cottage, again of a high standard with more fantastic views on offer from the patio. If the weather allows, we highly recommend dining al fresco to soak it all up. The third day leads you back to the Homestead but this time through the forest, with native Pohutakawa trees and more striking harbour views. It’s a totally different atmosphere but just as stunning. You’ll pass by a Maori pa site and you might come across the landowners wielding a strange apparatus. They have equipment that checks that the native kiwi birds that have been reintroduced to the forest are alive and well. Once you’re back at the Homestead you can freshen up before taking your leave. We truly enjoyed this walk which is open to all levels and perfectly suited for families. We hope our enthusiasm will rub off on you because when you do this walk, along with experiencing the beautiful scenery, you’ll also be supporting a sustainable tourism project that is so very worthwhile. 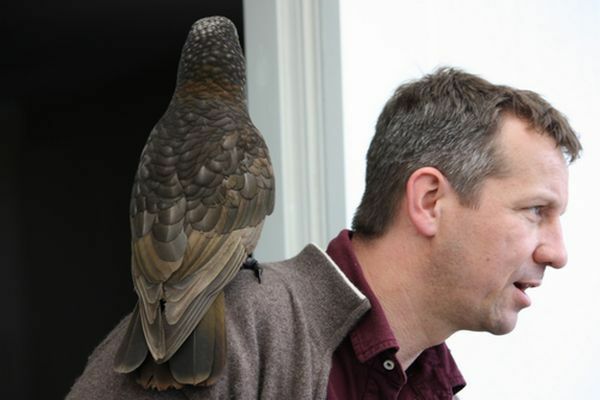 The couple that have set up this trek on their own property are endeavouring to release the endangered kiwi back into the wild in a pest free environment. Proceeds from the walk go to furthering this work and they’re crucial as they do not have any outside source of funding unlike many other conservation efforts in New Zealand.